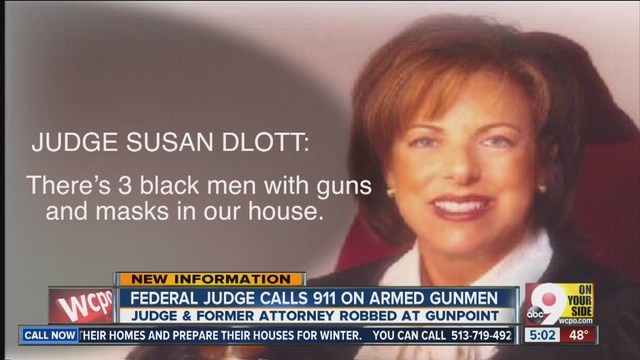 Unabashed liberal Judge Susan Dlott wrote the book on racial profiling in 2002. Dlott became a national heroine of the movement to outlaw — and define — racial profiling, the year after the Cincinnati riots. Last week Dlott and her husband were the victims of a brutal robbery and beating by three black men who followed them home from a restaurant and proceeded to break her husband’s back and loot their home. The three black robbers broke her husband’s back, his pelvis and gave him a concussion. Judge Dlott ran a mile in the woods barefoot to get help. 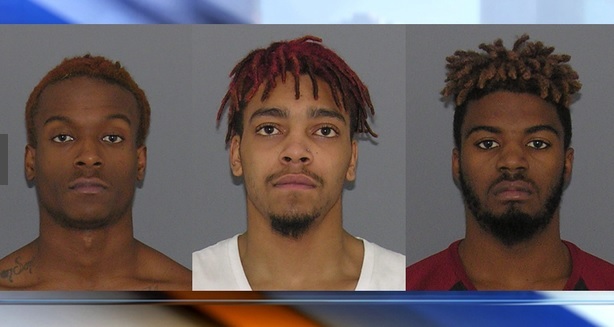 The three men accused of breaking into Cincinnati attorney Stan Chesley and Judge Susan Dlott’s home face more than 100 years in prison if convicted. Hamilton County Prosecutor Joe Deters announced the indictment of Terry Darnell Jackson, Demetrius Williams and Darrell Joseph Kinney on Friday. The trio is accused of breaking into Dlott and Chesley’s home on Dec. 3 . WCPO was the first to report the story. The three men face charges including: aggravated burglary, aggravated robbery, kidnapping, assault, carrying concealed weapons and more. If convicted on all charges, all three men each face the possibility of more than 100 years in prison. Deters said the men followed Dlott and Chesley from a Kenwood restaurant to their Indian Hill home before breaking in. The prosecutor claims the three ordered Dlott and Chesley around at gunpoint while they ransacked the home for things to steal. Chesley suffered injuries when he was pushed down a small flight of stairs during the ordeal. 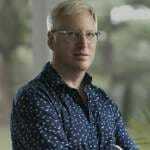 He and his wife were able to escape and call for help. Dlott later said Chesley is on bed rest to recover from injuries that include three fractures to his spine, a fracture in his pelvis and a concussion. Dlott said her feet are still bruised and swollen from the incident as well. Indiana Hill rangers arrested the three men near the home after making a traffic stop. Deters said Kinney was able to briefly escape custody but was quickly recaptured.